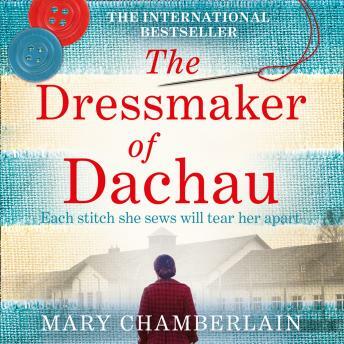 Spanning the intense years of war, The Dressmaker of Dachau is a dramatic tale of love, conflict, betrayal and survival. It is the compelling story of one young woman's resolve to endure and of the choices she must make at every turn - choices which will contain truths she must confront. London, spring 1939. Eighteen-year-old Ada Vaughan, a beautiful and ambitious seamstress, has just started work for a modiste in Dover Street. A career in couture is hers for the taking - she has the skill and the drive - if only she can break free from the dreariness of family life in Lambeth. A chance meeting with the enigmatic Stanislaus von Lieben catapults Ada into a world of glamour and romance. When he suggests a trip to Paris, Ada is blind to all the warnings of war on the continent: this is her chance for a new start. Anticipation turns to despair when war is declared and the two are trapped in France. When the Nazis invade, Stanislaus abandons her and she is taken prisoner, sent to Germany as slave labour and forced to survive on her wits alone. Resilient at every turn, Ada finds the strength that extremity breeds and survives the only way she knows how: by being a dressmaker.